Our most compact and lightweight control for Sony PXW-X200, PMW-300,-200, -160, -EX1, and -EX3 camcorders. Ideal for use on tripods, jibs, stabilizers, or shoulder supports. 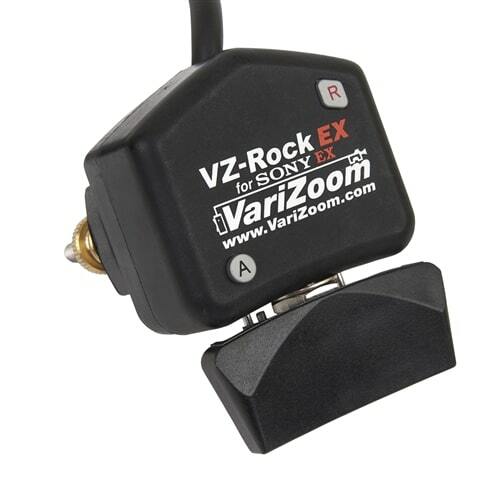 The VZROCKEX Lens Zoom Camera Control is our solution for the videographer who needs a very compact, lightweight zoom control for Sony PXW-X200, PMW-300, -200, -EX1, or -EX3 camcorders. With its high-sensitivity rocker, precise, repeatable zooms are easily achieved. The VZ Rock-EX is perfect for stabilizers and jibs.